A golden retriever and a potbelly pig are looking for new homes after their former owner abandoned the pair in the parking lot of the Tuscarawas County (Ohio) Humane Society on Wednesday. 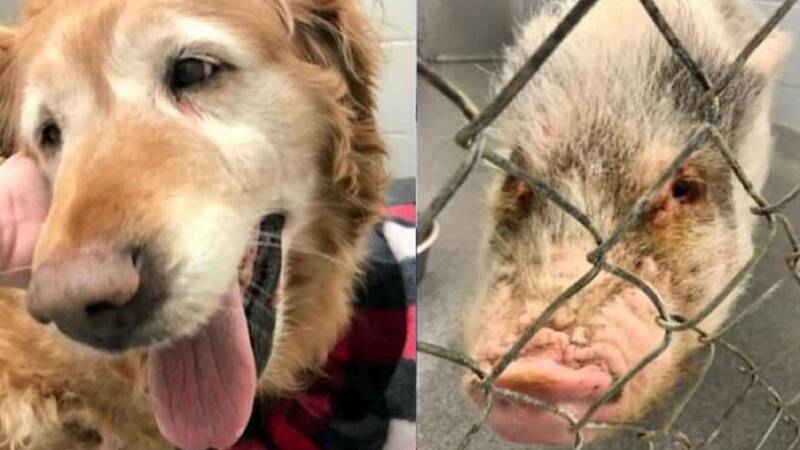 NEW PHILADELPHIA, Ohio (WEWS via CNN Wire) -- A golden retriever and a potbelly pig are looking for new homes after their former owner abandoned the pair in the parking lot of the Tuscarawas County Humane Society on Wednesday. Annie, the golden retriever, and Hermione, the potbelly pig, were left in the parking lot around 8:42 p.m. The man who abandoned the animals tied Annie to a parking sign and left Hermione in a crate, according to the Tuscarawas County Humane Society. Deputies were dispatched to the parking lot around 12 a.m., and an officer with the Humane Society was able to get the animals into the building. Annie, a senior golden retriever around nine years old, has some health concerns, according to the shelter. Hermione needed a bath and her hooves were overgrown, the shelter said. A video of the two animals being abandoned was shared to the shelter’s Facebook page. 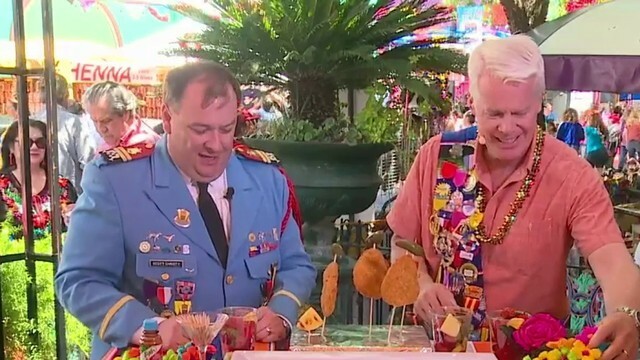 Authorities are still investigating the incident.